Due to their elegance and ability to add a classy touch, marble surfaces are an extremely popular choice to include in your home. Whether it’s marble flooring, benchtops, vanities or bathtub surrounds; these are a significant investment in any home. It would therefore make a lot of sense that to preserve their value, looks, and quality, you should maintain them. Why risk your marble shower floors, marble tables or other marble fittings? We strongly advise against DIY marble (and other stone) rejuvenation as there are so many mistakes that can be made by those without the adequate experience, knowledge and of course the equipment. The preparation phase is critical in starting our marble rejuvenation process, involves removing anything foreign particles that may be stuck on the surface of your marble products like marble shower floors. This includes adhesives but also things like products like paints and varnishes. Extreme care and attention is needed when doing this because marble is a relatively soft stone and easy to scratch. Sydney Stone Restoration have purpose-built equipment to safely and comprehensively remove all surface adhering products without causing any damage. With this important first step safely completed and taken care of, we look to remove any existing sealants as this will allow us to more easily treat your precious marble products. After the old sealant is removed, any stains and minor surface imperfections are lifted with specially designed marble treatment equipment. With our extensive experience using these tools, coupled with our hard-earned knowledge, we can remove most stains and surface imperfections without risking further damage. Once the marble surface has been prepared to our exacting standards, we’ll then proceed to the polishing of the marble. It is absolutely required that the surface is examined closely at least once more before it is polished to ensure all imperfections are actually gone. Polishing a poorly prepared surface will never yield good results. We have equipment and the know-how to polish marble areas of different sizes whether it will be your bathroom marble flooring, kitchen marble surfaces, or marble objects. The last step in marble surface preparation is sealing the surface. This is of high important as it coats the marble with a protective layer, stopping further damage and gives it the best chance of looking beautiful for a longer period of time. 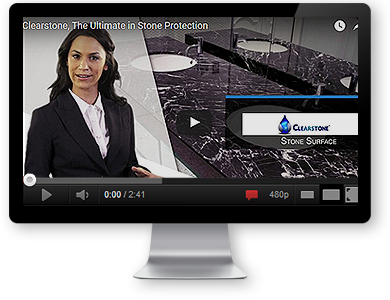 The sealants we use and stand by helps to maintain the natural beauty of the stone. Although overall the marble rejuvenation process may sound relatively straight forward, we strongly advise against trying to do it yourself when working with marble or any other stone, especially if you don’t have the knowledge or experience to do so. You’ve made a high-quality investment in choosing marble for your finishes, there are just far too many things that can go wrong and these errors can destroy the stone forever. Why risk it when professionals like us can do it quickly, effectively and with a reasonable price. For all marble restoration services contact the people who know marble polishing and treatment best; Sydney Stone Restoration on 0414 543 854 or get a free quote.